Disney/Pixar’s Coco opens in theaters in November, but guests at the Disney Parks will get a sneak peek at the new film very soon. The Coco preview will be presented as part of Walt Disney Presents at Disney’s Hollywood Studios. The attraction will also include a display about the film. Guests at Disney California Adventure will see a preview of the film with 3D special effects at the It’s Tough to be a Bug Theater. Both previews will begin November 3. This weekend the Plaza de la Familia opens at Disney California Adventure. 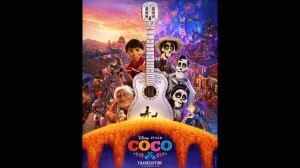 This new experience celebrates Coco with “A Musical Celebration of Coco,” The World of Coco exhibit, and more. The entire experience is inspired by the Mexican holiday Día de los Muertos. The Plaza de la Familia will be open until November 2 at the Paradise Gardens in Disney California Adventure. Coco opens in theaters on November 22.